Enter now for a chance to win an Amazon Fire HD 8 Tablet! No purchase necessary. Winner will be chosen on September 30th, 2018, and notified by the email submitted. This is part of our BSA Tech Giveaway 2018! This promotion is in no way sponsored, endorsed, administered by or associated with Facebook. You must live in the United States to be eligible. 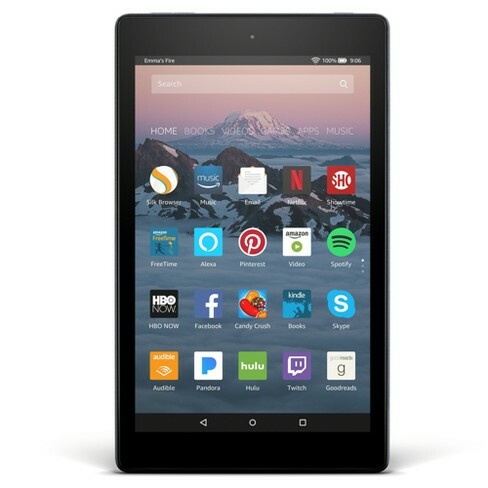 One grand prize winner will be selected to receive an Amazon Fire HD 8 Tablet (or equivalent). Not redeemable for cash. Contestants must live in the United States to be eligible to win the prize. The winner will be selected on Aug 31, 2018 and will be notified via the email address provided during entry. Must be 18 or over to enter and win. Chrystal Clear, LLC reserves the right to change or alter this promotion at any time. Winner will be chosen at random with randomizing software. Fake entries will be removed from the drawing. By submitting your entry you are agreeing to receive marketing and promotional emails from Chrystal Clear, LLC and it’s affiliates. You may unsubscribe from these emails at any time.